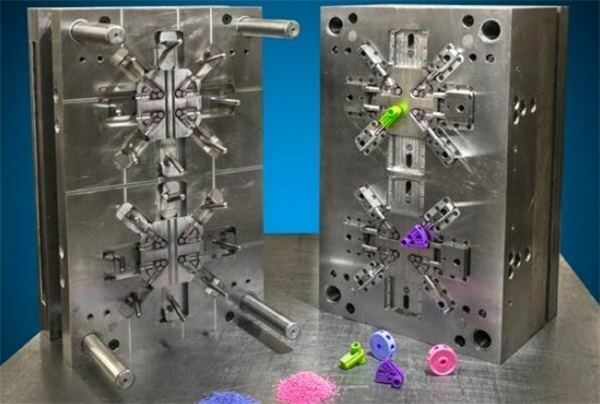 It is all about quantity for traditional injection molding, but when you just need several prototypes or low volume production parts, it is quite unsuitable for building a traditional production mold. Also, making a high-performance or multi-cavity steel mold is slow. Is there any way to quickly get injection molded parts at lower cost? Here, we are going to introduce the application of Rapid Injection Molding Prototype. Prototyping: In the early stages of product development, you can use prototyping method such as SLA, SLS or FDM for making your part to test the form and fit. But as the development moves forward, when your part has surface finish and tight tolerance requirements, the mentioned layered processes are no longer meet your needs. Then you can consider about rapid injection molding. We usually build a simplified tooling with interchangeable mold base and manual inserts for getting your prototype quickly and cost-effectively. Tight tolerance, good finish, and engineering material are available by the process. Low-volume Production: Productions does not always mean quantity of hundreds or thousands parts. In some cases, the volumes can be one time for hundreds or even several thousand on a regular basis. Automobile and medical devices are good examples. They usually require the material properties and aesthetics of injection molded parts. But the cost of building a traditional tool is too high, for the small volume you can consider rapid tooling and rapid injection molding process. Are you looking for a supplier who can help for low volume injection molding and prototyping? TEAM Rapid has been in rapid prototyping and low volume manufacturing for years, we help lots of customers worldwide to launch their project successfully and quickly. Contact us at sales@teamrapidtooling.com today and see how we help!